Based inter alia, the Customer Development methodology should be sure whether this success lies precisely in the fact that we were able to change their hypothesis in hard facts. If so, you most need to take the next step in developing that concept and begin verifications market. Only there, by trial and error, we can see if our start-up will have a chance to become scalable, and our business model will become a rentable. Therefore, if you are involved in work on your idea necessarily check whether you were able to juxtapose the product and the market. So be sure that there is sufficient need in the market for your solution to the problem and that this solution effectively meets the demand. Do not forget that you should put the customer at the center of your business-in, he pays you for your work, so be sure that you know where to find him. What is the archetype, from which the demographic group he comes. And in the end of the day, be sure of you will be able to make money on this, to be able to develop as a stable and efficient pace needed to build a company with considerable resources. So, if you managed to answer three times, so you are in a good moment to decide to continue work on the further development of its concept and commitment even more. If you are not sure, you probably will preferably come back on one of the stages to more confident in their further activities. How to develop a start-up even if you succeed during first steps. As you know, a lot of start-ups fail to do so and are closed or taken over by other companies. Nowadays, to be competitive means to develop and adjust constantly, to think of something new, to create innovative services/functions, which will complement your basic idea and thus acquire new customers, retain existing ones and diversify your risks if one of you business directions fails completely or struggle during crisis times. These questions are compulsory to answer before start-up your own story:) Good luck to everyone! Hope my thought will be useful for someone. 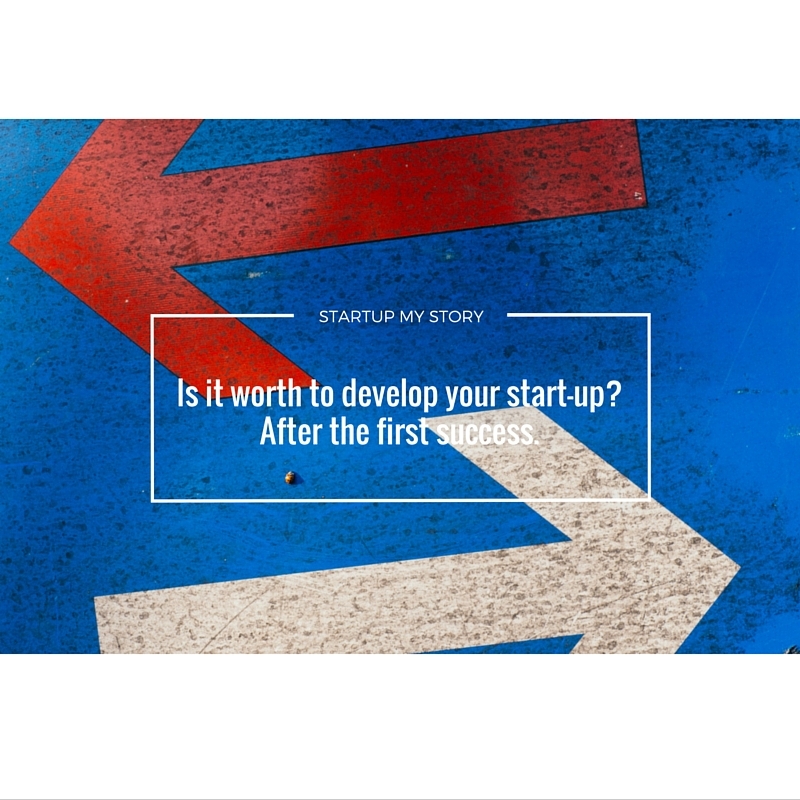 0 responses on "Is it worth to develop your start-up? After the first success."